Norbert Seelig, his sisters and his parents apparently had a very adventurous escape route from Europe. 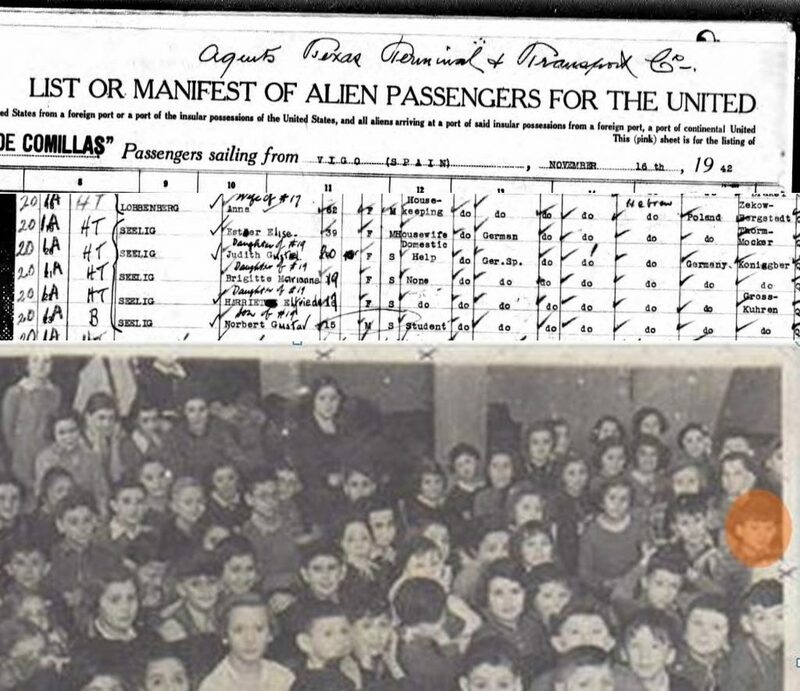 They left the continent for America on 16 November 1942. Anyway, the whole family was able to cross the ocean together. Norbert died in San Francisco in 1980. 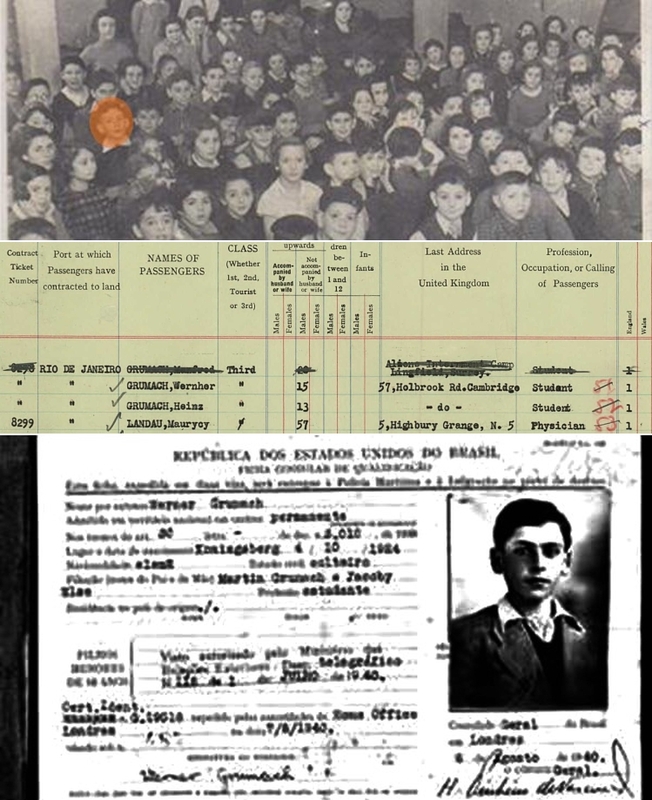 After immigration cards were issued by the Brasilian governement Werner Grumach and his younger brother Heinz went by ship to Buenos Aires on 18th August 1940. Their older brother Manfred followed some month later. The parents, the lawyer Dr. Martin Grumach, a leading person in the Koenigsberg Jewish community and his wife Else arrived on the new continent before their children. The family had to travel separately, as cheap ship tickets were in great demand.